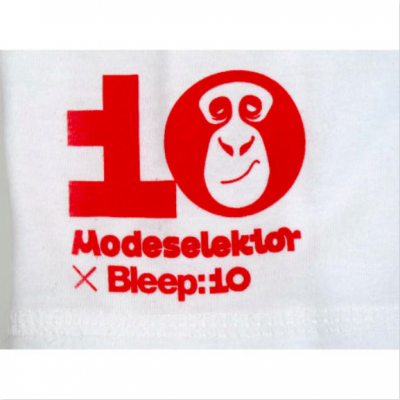 To celebrate Bleep’s 10th Birthday, Modeselektor contributed a track to their Bleep:10 compilation called “I’m not into Twerk, I’m into KrafTwerk“. 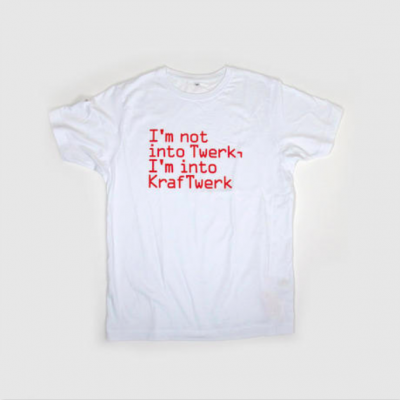 This t-shirt makes up one of 2 exclusive designs. A limited edition of 50 white text on red tees will be sold on Bleep.com, and a limited edition of red text on white tees will be sold on our webshop. Printed on White Continental shirts with the slogan on the front and Modeselekor x Bleep:10 logo print on the reverse bottom left. Designed by Give Up Art.